There are all sorts of Wireless extension systems available starting with Wireless mains extenders these use the earth cable to transmit and receive data using a transceiver connected to the router and a Wireless transceiver at or near the receiving device these are dependant on the wiring layout of the premises so because of this they can be unreliable , Examples of these are TP Link TLWA4220KIT . The next system is Wireless Network Extending this works OK but because the extender has to be placed in the range of the original router it tends to add a room or 2’s width in one direction and can be effected by interference in the same manor as the first router. 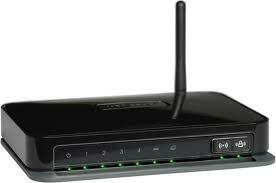 Examples of these are the TP Link RE200 AC750 . The most effective for covering a large area is to have a cabled network infer structure with strategically placed access points in or near the required areas. Examples of these are the TP Link TL-WA901ND Wireless N Access Point, or the EAP115 Wireless N Ceiling Mounted Access Point. We have over 29 Years Experience in the Computer Industry Call us on Local Call 01926 350906 or Mobile Phone 07896 242565 for a Quote. Due to the nature of wireless it is always better for us to complete a site survey to see where problems may occur, these may be as simple as RSJ’s or other sorts of wireless interference most of which can be avoided by placing the router in the most appropriate place or alternatively access points may be used to get around the blockage. With potential speeds of 2.5Gbs the Fibre to the Premises (FTTP) is the most exciting development but due to the high costs the starting point for this will be 100 megabits download going to an initial 2.5 million premises. Plusnet are currently listing this product with unlimited usage allowance and a free hub for £27.50 per month on an 18 month Contract. The Exchanges at Nuneaton, Solihull, Earlsdon, Warwick, Kenilworth, Berkswell (at Balsall Common) Knowle , Royal Leamington Spa, Rugby, Banbury , Daventry and Stratford on Avon Southam including Long Itchington, Bedworth, Marton, Selly Oak. Foleshill, Four Oaks, Birmingham Central, Chapel End, Shirley, Kineton, Little Kineton,, Knowle Lighthotne, Lighthorne Heath, Wolston, Brandon,Tool Bar, Wood End, Baginton, Fillongley, Ryton on Dunsmore, Welford on Avon, Long Marston, Temple Herdewyke are all now Listed as connected. 2015 fibre activations so far Wellesbourne, Loxley, Hampton Lucy, Charlecote, Heathcote, Blackdown, Lapworth, Henley in Arden,Moreton Morrell, Stretton on Dunsmore,Rugby, Bishops Itchington, Harbury, Wootton Wawen, Bishopton(Stratford on Avon), Newbold on Stour, Upper Brailes, Binley Woods, Corley Coventry, Exhall Coventry including Bayton Road, Upper Quinton and Lower Quinton are now all fibre activated. For those of us out of reach of the fibre networks there is Satellite broadband offering speeds of up to 20Mbit/s the charges are similar to the mobile model from £30 for 10GB in a month up to £80 for 100GB per month the required equipment is listed as £100 or you can rent it and there is a charge to install alternatively you can arrange your own installer or self install this is with suppliers such as Tooway. There is help for businesses in the form of a voucher to cover installation costs this is provided via the local council you will need to fill in the application form this link is to the form for Coventry, Warwickshire and Northamptonshire and applies to business with less than 250 Employees, a turn over of less than 43m euros, not received more than 200k euros in public grants in the last 3 years, and do not belong to a parent group that has exceeded the same restrictions. The companies offering broadband suitable for low usage starting from £6.99 per month for an up to 17Mb (always less than this depending on distance from the exchange) with a unlimited usage allowance for something such as Plusnet. BT Total Broadband are also offering a 20Mb Service(or Lower) at a Starting at cost of £24.95 per Month on an 12 month Contract including a 12 GB usage Limit. If your not sure which of the many Internet service providers to use give us a call and we will talk you through all the best options. Which ever broadband supplier you choose we are able to setup your broadband equipment in any configuration either wired, Wifi or multiple access points or any combination you require. We are also able to offer a complete diagnostics service for when problems occur. Our onsite problem solving service is available at your home or business premises in the city of Coventry and the county of Warwickshire (Including Warwick, Leamington Spa, Kenilworth, Stratford upon Avon, Banbury, Southam, Bloxham Kineton and surrounding villages). Good afternoon we are now with a customer on the Wellesbourne Road at Barford in Warwickshire, we are here to change the customers broadband from Tiscali Internet (TalkTalk) to BT Internet. Whilst here we helped the customer to order his own .co.uk domain name and Email hosting Package. This Morning we are at Stratford upon Avon in Warwickshire working for terry-green trouble shooting a bridged wireless access point system. fault found and system left in good working order. We think the BT engineer must have been powering on and off the Netgear WN802T Access Points to quickly. Back to the customer at Stratford on Avon in Warwickshire to refit the replaced BT wireless router and test with all the customers wireless computer equipment. This afternoon we at at a customers at Stratford upon Avon in Warwickshire after testing we found that the customers fairly old BT Router had failed so we rang up BT for a replacement and lent the customer our spare test one till the replacement arrived. Good morning we are with a customer on Farm Street at Harbury in Warwickshire, We are here because the customer has reported a problem connecting to the internet. Update: We solved this and had the customers broadband and computer running smoothly and fully up to date in less than an hour. We are now with a customer in Halford, We are here to setup the customers new BT Broadband wireless router with the customers current Toshiba laptop computer, As well as setting up the wireless we also update the customers antivirus and firewalls. We are now with a customer on Fisher Road in Bishops Itchington, The customer has been having trouble connecting to the Broadband and we are here to solve the problem. We are now with a Customer on Woodbine Street in Leamington Spa, We are here to install the customers laptop computer on to an ADSL wireless router. We are now with a Customer on Austin Edwards Drive in Warwick, We are here to install the customers laptop computer on to a Virgin cable wireless router. Next today we are with A1 Sea Foods in Warwick, We are here to fix an issue on one computer in the network which can not connect to the Internet but can see the Network. Good Morning, Today we are with a customer on Mountford Close in Wellesbourne, We are here to change over the customers broadband from Tiscali to BT Internet, and other computer maintenance such as updating their Antivirus to AVG 9.0 and running a Malware Scan and check the computer is running correctly..
Next today we are with a customer at Leamington Spa in Warwickshire, We are here to setup the customers Wireless broadband Router. To get this to work correctly we had to update the customers Dell laptop computers wireless driver. Good afternoon, We are now with a customer in Kenilworth to examine and repair their computer, as well as check their broadband. Good Morning Today we are with a customer at Grump Street in Ilmington, We are here to fix the customers broadband problems, The problem being that the customers could see the router but not the internet, On this one it required the winsocks and tcpip stack to be reset and some other computer maintenance. Good Afternoon we are with a customer in Wellesborne, to fix a problem with the customers internet. Good morning we are with a customer near Woodcote Lane at Leek Wootton in Warwickshire, We are here because the customer has reported an issue connecting to the internet with their Acer Desktop Computer running Windows Vista, After examination it seem we have 3 separate problems the first is that the Norton 360 had some how got disabled, so we checked for viruses and found nothing and then simply removed and reinstalled the antivirus suite fortunately we had the Norton removal tool saved on to a disc as the uninstall option had become disabled, the second problem here is that when ever an incoming call is received or out going call is made the internet becomes disconnected and reconnects we have replaced the micro-filter and it is the same so we are left with a router or line fault causing this issue, personally in this particular instance I suspect the Talktalk modem router mainly because it is 4 years old but also because the phone line seems clean and there is no internal wiring we will find out after the customer has re-contacted the ISP, the last problem here is the speed of the computer, it seems Acer only supplied the SA90 Series with 1 GB of RAM and on Vista or even windows 7 this really is not enough so the customer has ordered 4 GB of ram from Amazon ( 2 * 2GB ) and we will return to install the memory at a later date. Good morning we are with a customer on Guys Cliffe Road at Leamington Spa in Warwickshire, we are here to help the customer solve an issue with their internet which started after upgrading the antivirus to AVG 2012 Internet Security. Update: Before we arrived the customer had ran system restore and this had got the internet security in to a bit of a mess, the add remove programs and the AVG removal tool would not work , so we removed all the temp files and application data, ran the Windows Install Cleaner and was then able to attempt a reinstall of the program, once installed the firewall failed and got stuck in a reboot loop, this seemed to be going no where fast so we removed the program and reinstalled the AVG Free which worked first time. We also realigned the Brother DCP585CW whilst here as the print out appeared to have a blurred shadow in normal printing mode, with adjustment this appeared to be better, with Fine mode looking perfect. Good morning we are with a customer on the Stratford Road at Warwick in Warwickshire, we are here because the customer is reporting poor wireless signal to their BT Infinity wireless router with their Compaq Laptop Computer. Update: There was a connection issue with the infinity router and so we rang BT technical support who got the broadband up and running quiet quickly, the weak signal was because the laptop had reattached its self to a neighbours BT Openzone network, After getting the computer working properly on the customers router we found the internet was still slow to respond so we deleted the internet cache and this fixed the issue. Good afternoon we are now with a customer on the Wellesbourne Road at Barford in Warwickshire, we are here to change the customers broadband from Tiscali Internet (TalkTalk) to BT Internet. Whilst here we helped the customer to order his own .co.uk domain name and Email hosting Package. For our Last job today we are at a customers in Leamington Spa repairing an issue on a computer in which Internet Explorer is crashing when the customer is using Amazon. Good morning we are with a customer on Farm Street at Harbury in Warwickshire, We are here because the customer has reported a problem connecting to the internet. Update: We solved this and had the customers broadband and computer running smoothly and fully up to date in less than an hour. Good Morning today we are with a customer on Birches Lane in Kenilworth, We are here to setup the customers desktop and laptop computers with a new ADSL wireless router. Next today we are with a customer in Barford to repair a broken dial up internet connection, the issue here is that Outlook Express gives errors 0x800CCC90 and 0x800CCC0E. We fixed these issues and then updated the customers antivirus to AVG 9 and Zone Alarm firewall to the latest version.